What are the benefits of kids completing daily chores? Builds confidence – successfully completing a task that they once thought they couldn’t do brings a sense of pride and accomplishment. Builds a sense of community – Understanding that helping out keeps the house clean and running (relatively) smoothly. Increased understanding of cause and effect – If the child does not put away their toys in the correct place then they can’t find them. 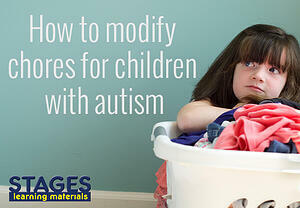 How can you modify chores for your child with autism? Use photographic support! This strategy is one of the most widely used supports at school, so why not bring it into the home? Below we have listed 4 different chores that you can modify by simply adding photo support. This is a chore that probably won’t take too much convincing to get your child to help out. Pets are great for children with ASD, but it is also important to teach your child how to take care of their pet. Using photos to provide step-by-step directions shows your child exactly what they need to do with little to no supervision. If you are concerned about your child unintentionally under or overfeeding the pet, you can walk them through the steps a few times together. You may even need to do hand-over-hand the first few times before gradually increasing their independence. An easy way to modify this chore is to tape a picture of the type of clothing on the drawer where the clothing belongs. 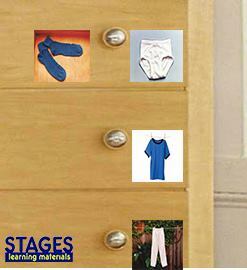 Ideally, the child would help in this step by identifying what is in each drawer before taping the picture. The photos provide a roadmap or helpful guide to where the different types of clothes belong. 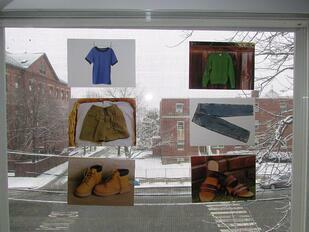 In this example we used the clothing pictures from the Language Builder Picture Card set. You can also take your own photos with your child’s clothes. When introducing this chore – start small. Do not expect your child to put away every piece of clean clothing. Choose four pieces of clothing, preferably different types, and model how they would look at the picture to help guide them to the appropriate location. When your child is successful with a small amount of clothing, gradually add more until they are able to put away all their clean clothes. Grocery shopping can be a pain, but grocery shopping with a child can be a chore in and of itself. Kids are either bored out of their mind or trying to get you to buy something that they definitely don’t need. A good way to keep kids entertained and allow them to help out while shopping is to give them their own list of things that you need to get. 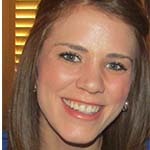 Create a list with photographs and quantity. Not only is this a great way to practice literacy, numeracy, and following directions, but kids also think of this as a scavenger hunt. 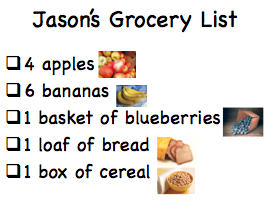 Add a check box and let kids check off the items that they find. The daily battle between what the child wants to wear and what parent wants them to wear is a constant struggle across most households. How do you give children the autonomy to choose what to wear when you fear what they choose will not be weather appropriate? A good way to handle this problem is slowly hand over the power to choose one clothing item at a time. If you struggle with your child making weather appropriate decisions, tape picture of two options of clothing on the window and they have to choose based on how it looks outside. Begin by letting them choose between flip flops and boots. As they start making weather appropriate choices, gradually add in more choices such as shorts versus pants. Again taping all these choices on the window to help the child make an informed decision. In this example we used the clothing pictures from the Language Builder Picture Cards. You can also take your own photos of your child’s personal clothing. Start small and build from there. Start with one task and gradually add more when successful. 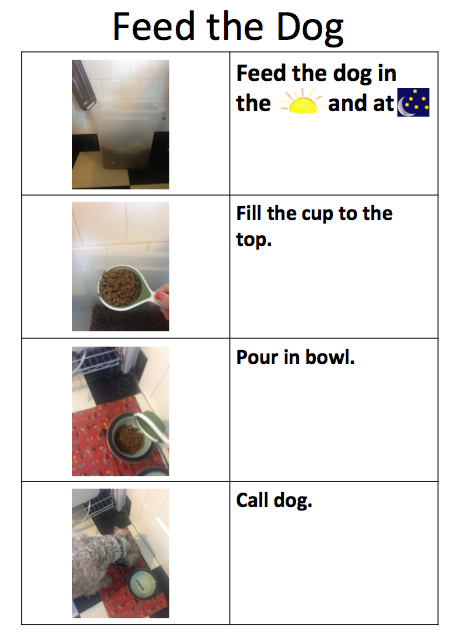 Create a chart that the child can mark off when they have completed the task. This is also great place for rewards. 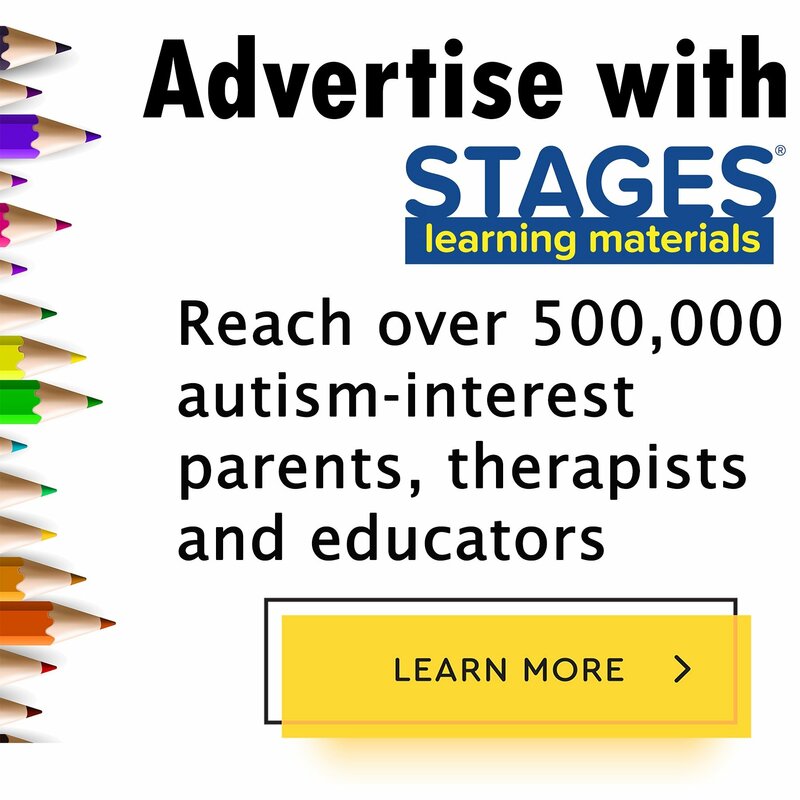 The child can get a sticker for each completed task. Do not redo a child’s work. If they did not put away their clothes in the right place, do not go back and redo it for them (especially right in front of them), this will cause the child to lose confidence in their abilities. 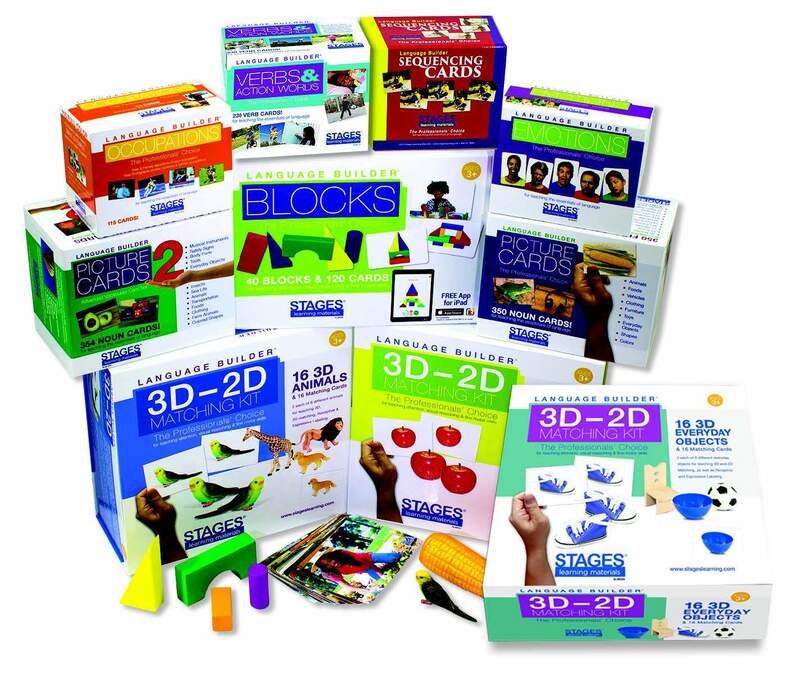 Read more on using pictures to support learning. Try it out! Download 20 FREE Language Builder Cards now to start using pictures to support your child at home!